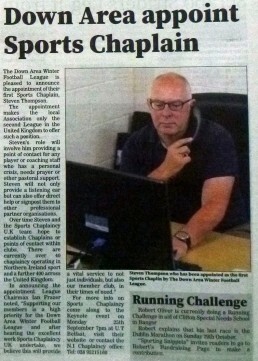 The last 18 months of sports chaplaincy in Northern Ireland have been a wonderful season of increase. 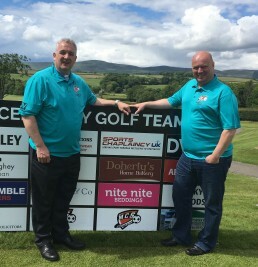 We have seen new chaplains appointed, a regional office established, Steven Thompson becoming support co-ordinator to Phil and myself and we have built a firm partnership with the Danske Bank Premier Football League. Additionally, new doors are opening up in a variety of sports and disability sports. All of this forms a good report, yet it doesn’t tell the full story of life within Sports Chaplaincy NI. Underneath the surface is where we have seen the real increase; a band of chaplains in fellowship, sharing together in vision and values and encouraged by stories of players and clubs openly endorsing the role and exploring faith. By regularly meeting together we have been able to provide a clearer picture of our role and responsibility as chaplains. 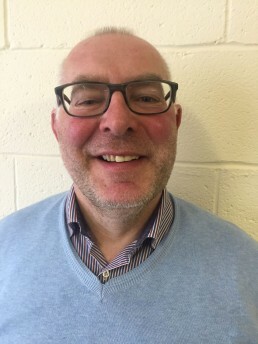 Fresh expressions and ideas have emerged inspired by the desire to offer Christ centred chaplaincy not as a hobby or on-call service but as a consistent and authentic demonstration of pastoral care and witness in the world of Sport. If we are to adventure forth with sports chaplaincy, every step must be supported by prayer with our eyes fixed on Jesus, the author and finisher of our faith. Ultra Marathon – Thank You!